Dr Thomas Blumensath is Associate Professor within Engineering and Physical Sciences at the University of Southampton. 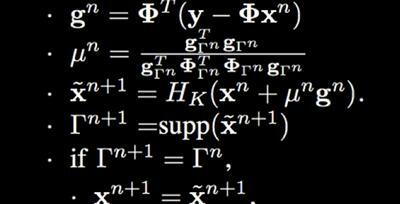 I develop advanced mathematical methods to improve the acquisition and analysis of signals and images. Applications of these techniques include the study of connections in the human brain, the improvement of speech signals and the measurement of the dimensions of manufactured components using x-rays. Thomas Blumensath is a Associate Professor at the University of Southampton. He is co-chair of the Computationally Intensive Imaging University Strategic Research Group and Deputy Director of the μ-VIS x-ray imaging centre. Thomas Blumensath received a B.Sc. (Hons) in Music Technology and Audio System Design from the University in Derby in 2002 and, in 2006, a PhD in Electronic Engineering (Bayesian Signal Processing) from the University of London. Since 2005, he held various appointments as Postdoctoral Researcher and Research Fellow working at the Centre for Digital Music at Queen Mary University of London, the Institute for Digital Communications at the University of Edinburgh, the Applied Mathematics Research Group at the University of Southampton and the University of Oxford's Centre for functional MRI of the brain. In 2012 he joined the Institute of Sound and Vibration Research as a New Frontiers Fellow and now holds a Lectureship in Signal and Image processing. 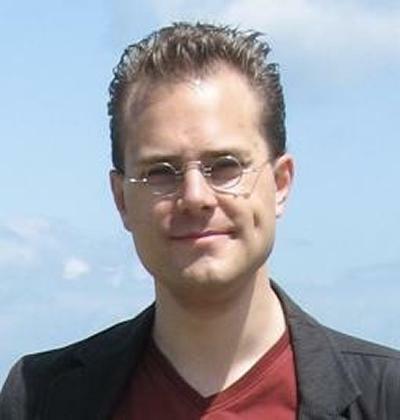 Thomas Blumensath is an engineer and mathematician working on fundamental signal and image processing techniques and their application to a range of scientific problems. Based on a sound mathematical basis, his research aims at the development of advanced methods in signal and image processing and their application to challenging problems in the physical and life sciences. He is particularly interested in x-ray image reconstruction, biomedical applications and human brain mapping. Blumensath, T. (Accepted/In press). 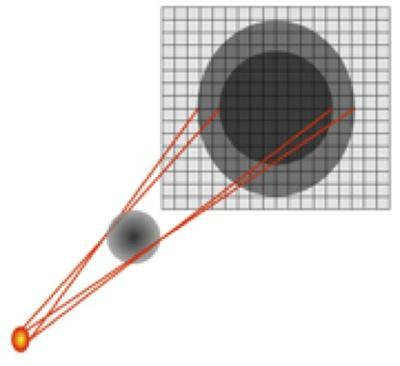 Backprojection inverse filtration for laminographic reconstruction. IET Image Processing. O'brien, N., Mavrogordato, M., Boardman, R., Sinclair, I., Hawker, S., & Blumensath, T. (2016). Comparing cone beam laminographic system trajectories for composite NDT. Case Studies in Nondestructive Testing & Evaluation, 1-6. Blumensath, T. (2016). Directional clustering through matrix factorization. IEEE Transactions on Neural Networks and Learning Systems. Benichoux, A., & Blumensath, T. (2014). A spatially constrained low-rank matrix factorization for the functional parcellation of the brain. Proc. 22nd European Signal Processing Conference, 1-5. Blumensath, T. (2014). Non-linear compressed sensing and its application to beam hardening correction in x-ray tomography. Author's Original. Blumensath, T. (2011). Sampling and reconstructing signals from a union of linear subspaces. IEEE Transactions on Information Theory, 57(7), 4660-4671. Yaghoobi, M., Blumensath, T., & Davies, M. E. (2009). Dictionary Learning for Sparse Approximations with the Majorization Method. IEEE Transactions on Signal Processing, 57(6), 2178-2191. Blumensath, T. (2014). 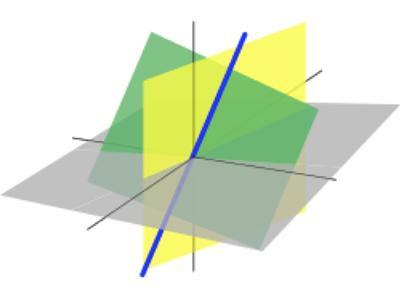 The geometry of compressed sensing. In A. Y. Carmi, L. Mihaylova, & S. J. Godsill (Eds. ), Compressed Sensing and Sparse Filtering (Signals and Communication Technology). Berlin, DE: Springer. Blumensath, T., Davies, M. E., & Rilling, G. (2012). Greedy algorithms for compressed sensing. In Y. C. Eldar, & G. Kutyniok (Eds. ), Compressed Sensing: Theory and Applications (pp. 348-393). Cambridge, GB: Cambridge University Press. Flay, N., Sun, W., Brown, S., Richard, L., & Blumensath, T. (2015). Investigation of the focal spot drift in industrial cone-beam X-ray computed tomography. Paper presented at Digital Industrial Radiology and Computed Tomography (DIR 2015), Belgium. Stasiak, A., Blumensath, T., Monaghan, J., Wright, M. C. M., Winter, I. M., & Bleeck, S. (2014). Estimating spectral-temporal receptive fields in the cochlear nucleus. Poster session presented at Association for Research in Otolaryngology (ARO) MidWinter Meeting, United States. Monaghan, J., Stasiak, A., Winter, I. M., Blumensath, T., Wright, M. C. M., & Bleeck, S. (2014). Evaluating noise reduction algorithms for hearing impaired listeners. Poster session presented at Association for Research in Otolaryngology (ARO) MidWinter Meeting, United States. Blumensath, T. (2014). Sparse matrix decompositions for clustering. Paper presented at 22nd European Signal Processing Conference (EUSIPCO'2014), Portugal. Chiew, M., Smith, S. M., Koopmans, P., Blumensath, T., & Miller, K. (2013). Acceleration of resting state FMRI data acquisition using matrix completion. Poster session presented at OHBM2013: 19th Annual Meeting of the Organization for Human Brain Mapping, United States. Chiew, M., Miller, K., Koopmans, P. J., Tunniclie, E. M., Smith, S. M., & Blumensath, T. (2013). Iterative hard thresholding and matrix shrinkage (IHT+MS) for low-rank recovery of k-t undersampled MRI data. Poster session presented at The 21st annual meeting of the ISMRM (International Society of Magnetic Resonance in Medicine) - Discovery, Innovation, and Application – Advancing MR for Improved Health, United States. Chiew, M., Smith, S. M., Koopmans, P. J., Blumensath, T., & Miller, K. (2013). k-t FASTER: a new method for the acceleration of resting state FMRI data acquisition. Poster session presented at The 21st annual meeting of the ISMRM (International Society of Magnetic Resonance in Medicine) - Discovery, Innovation, and Application – Advancing MR for Improved Health, United States. Blumensath, T., Behrens, T. E. J., & Smith, S. M. (2013). 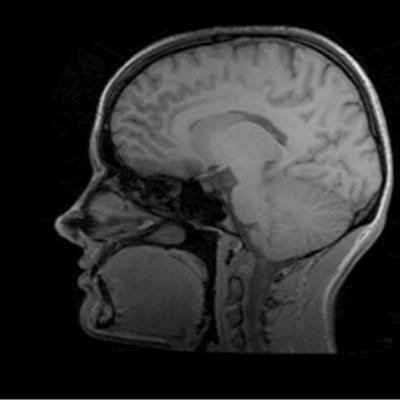 Resting-state FMRI single subject cortical parcellation based on region growing. Paper presented at MICCAI2012: 15th International Conference on Medical Image Computing and Computer Assisted Intervention, France. Blumensath, T., & Davies, M. E. (2009). A simple, efficient and near optimal algorithm for compressed sensing. Paper presented at IEEE International Conference on Acoustics, Speech and Signal Processing (ICASSP 09), Taiwan. Blumensath, T., & Davies, M. E. (2009). Compressed sensing signal models - to infinity and beyond?. Paper presented at SAMPTA'09, France. Blumensath, T., & Davies, M. E. (2009). How to use the interative hard thresholding algorithm. Paper presented at SPARS09, France. Yaghoobi, M., Blumensath, T., & Davies, M. E. (2009). Parsimonious dictionary learning. Paper presented at IEEE International Conference on Acoustics, Speech and Signal Processing (ICASSP 09), Taiwan. Davies, M. E., & Blumensath, T. (2008). Faster & greedier: algorithms for sparse reconstruction of large datasets. Paper presented at 3rd International Symposium on Communications, Control and Signal Processing (ISCCSP 2008), Malta. Blumensath, T., & Davies, M. E. (2008). Gradient pursuit for non-linear sparse signal modelling. Paper presented at European Signal Processing Conference, Switzerland. Yaghoobi, M., Blumensath, T., & Davies, M. (2008). Regularized dictionary learning for sparse approximation. Paper presented at 16th Annual European Signal Processing Conference (EUSIPCO), Switzerland. Blumensath, T., & Davies, M. E. (2007). Blind separation of maternal and fetal ECG recordings using adaptive sparse representations. 23-26. Paper presented at ICA Research Network International Workshop 2006, United Kingdom. Blumensath, T., & Davies, M. E. (2007). Compressed sensing and source separation. Paper presented at 7th International Conference on Independent Component Analysis and Signal Separation, United Kingdom. Blumensath, T., & Davies, M. E. (2007). In greedy pursuit of new directions: (nearly) orthogonal matching pursuit by directional optimisation. European Signal Processing Conference (EUSIPCO), Poland. Blumensath, T., Yaghoobi, M., & Davies, M. E. (2007). Iterative hard thresholding and L0 regularisation. Paper presented at IEEE International Conference on Acoustics, Speech and Signal Processing, United States. Yaghoobi, M., Blumensath, T., & Davies, M. (2007). Quantized sparse approximation with iterative thresholding for audio coding. Paper presented at IEEE International Conference on Acoustics, Speech and Signal Processing, United States. Blumensath, T., & Davies, M. E. (2005). A fast importance sampling algorithm for unsupervised learning of over-complete dictionaries. 213-216. Paper presented at IEEE International Conference on Acoustics, Speech and Signal Processing, United States. Blumensath, T., & Davies, M. E. (2005). Shift-invariant sparse coding for single channel blind source separation. 75-78. Paper presented at Workshop on Signal Processing with Adaptive Sparse Structured Representations (SPARS'05), France. Blumensath, T., Davies, M. E., Puntonet, C. G. (Ed. ), & Prieto, A. (Ed.) (2004). On shift-invariant sparse coding. 1205-1220. Paper presented at Lecture notes in Computer Science (LNCS 3195), Springer Verlag; International Conference on Independent Component Analysis and Blind Source Separation (ICA), Spain. Blumensath, T., & Davies, M. E. (2004). Unsupervised learning of sparse and shift-invariant decompositions of polyphonic music. 497-500. Paper presented at IEEE International Conference on Acoustics, Speech and Signal Processing, Canada. Blumensath, T., & Davies, M. E. (2007). Blind separation of maternal and fetal ECG's using any number of channels. s.n. Blumensath, T., & Davies, M. E. (2007). On the difference between orthogonal matching pursuit and orthogonal least squares. TechReport. sparsify is a set of Matlab m-files implementing a range of different algorithms to calculate sparse signal approximations. Currently sparsify contains two main sets of algorithms, greedy methods (collected under the name of GreedLab) and hard thresholding algorithms (collected in HardLab). See ALGORITHMS below for a list of available algorithms.